Because I still had a lot of Caffe Bene GCs from previous writing gigs, I decided to use all of them in their Makati branch last month. Our last visit was in December, and because we enjoyed what we ordered then, we went back and ordered mostly the same items but tried new ones, too. Carbonara is my son’s current favorite pasta dish. 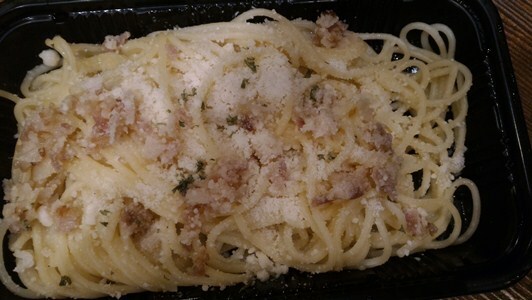 While it’s not as creamy-looking as La Bella Teodora’s, it still has the basic Carbonara ingredients that Justin looks for: spaghetti, bacon, cream and yes, cheese! Justin paired his Carbonara with Asado Pandesal. 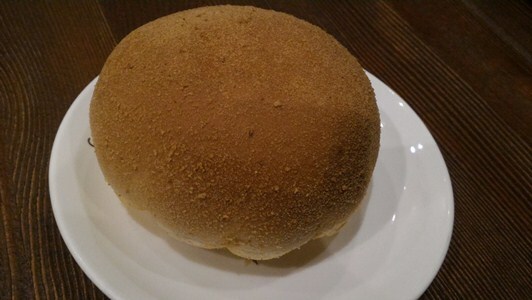 We both agree that this Asado Pandesal is so much better than most Asado Siopaos we’ve tried. It’s big and soft but fuller than the usual pandesal which makes it more filling, plus there’s enough (not too little or too much) pork asado inside to enjoy. 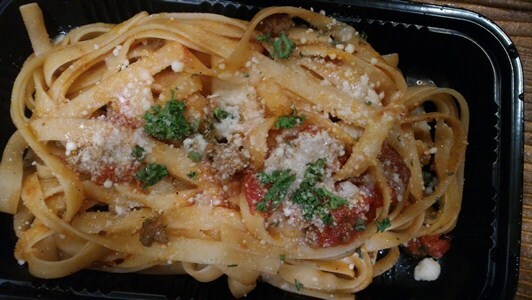 This Beef Bolognese, with a hint of sweetness most likely from the fresh tomatoes used, is okay. Justin and I both enjoyed our cold drinks. He got the large Mocha Frappe which he said tasted like Starbucks’ while I tried the Iced Blueberry Latte which was quite refreshing. I loved the sweet, tangy and milky blend! 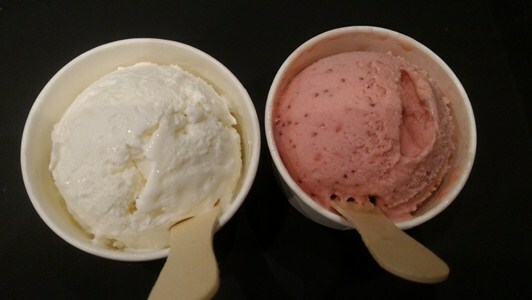 We also tried two gelato flavors from Caffe Bene, and we both favor the Strawberry Gelato over Cream Cheese Gelato. We had additional orders of Mango Cake and Mom’s Chocolate Cake to go that we ate for later as after-dinner desserts. 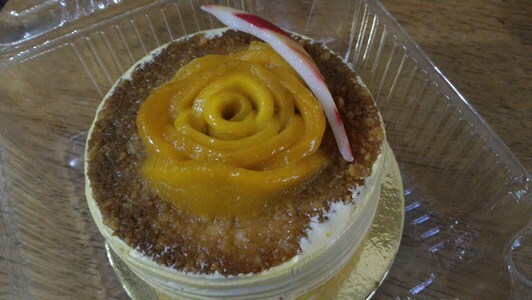 Hubby and I loved the not-so-sweet Mango Cake and its oh, so lovely presentation! 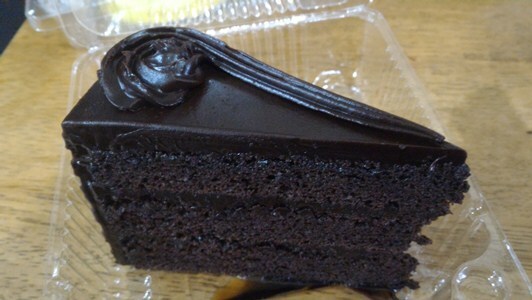 Mom’s Chocolate Cake is rich and moist, but it has wine in it which wasn’t really to our liking, so only hubby ate it. 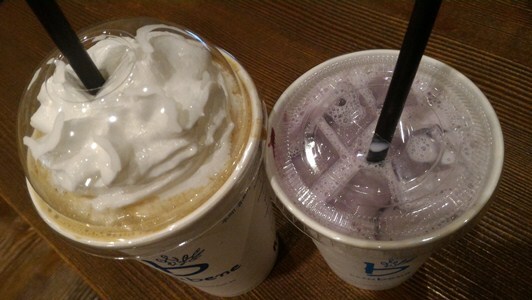 It was a pleasant experience overall at Caffe Bene. 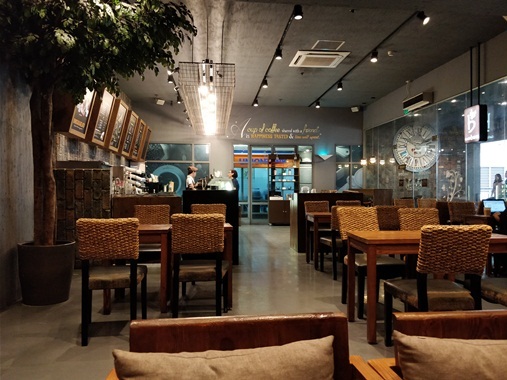 The place is really nice with its relaxed and cozy ambience. We mostly enjoyed their sandwiches and drinks. We will try their Bingsu next time. 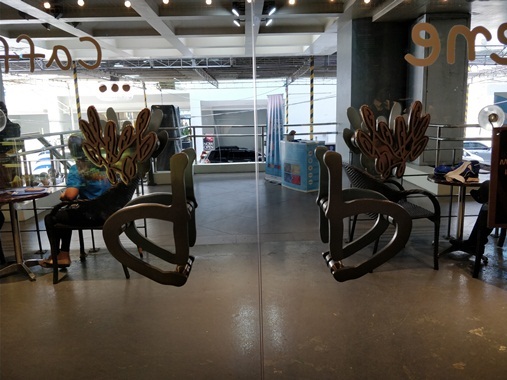 This entry was posted in Caffe Bene, Korean Cuisine, Lunch Date, Mother and Son. Bookmark the permalink.